Pure Minimal, Techno / House / Trance Sample from SamplerBanks. This collection offers hundreds of drum loops, bass and synth sounds for your minimal techno productions. 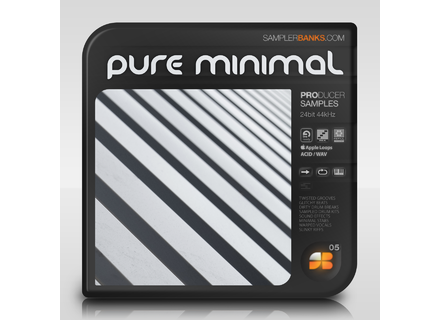 Pure Minimal is produced by Nawarro, a producer creating remixes and EPs for Anjunabeats, Deep Blue, Blaubeat (Baroque) and Dowalve Records. This sample pack was inspired by the tribal and percussive movement as well as artists like Deadmau5, Sander van Doorn and Wippenberg. 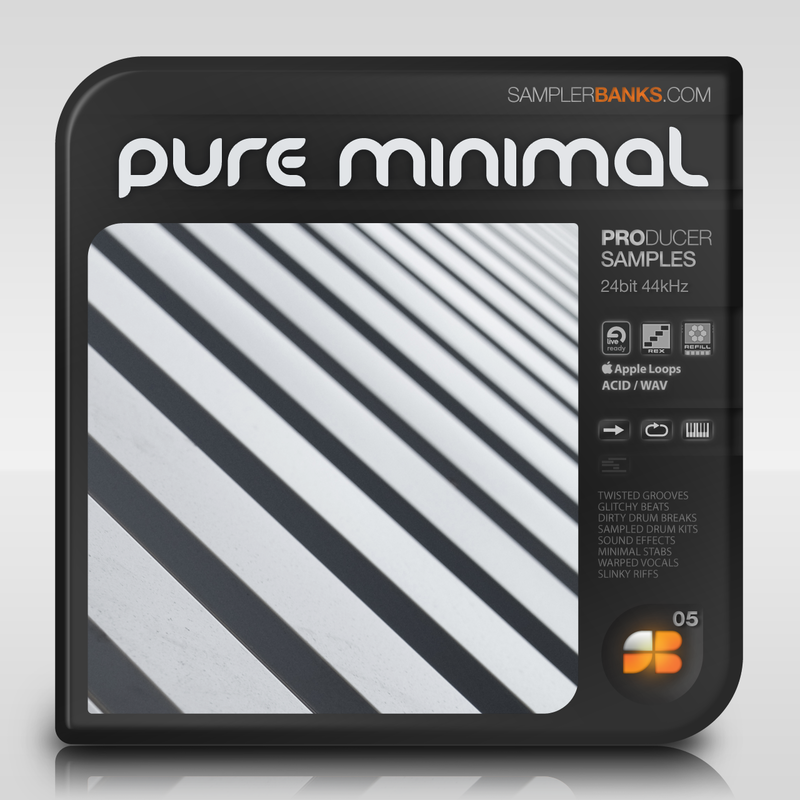 Pure Minimal is a collection of glitched, processed and tweaked minimal music loops produced specifically for the dance music producer. The pack contains 308 Drum, 65 Bass and 36 Synth Loops recorded at 126, 127 and 128 bpm. Loops are available not just as ACID-ised WAV files, but the whole source material is available in Apple Loop, REX2, Reason 5 ReFill or Ableton Live Pack formats. Add to the package the 100 Hats, 102 Kicks, 100 Percussions, 9 Riffs, 100 Claps, 50 SFX, 22 Stabs, 15 Vocal One-shots, 50 SFX and even 15 Egyptian vocal one-shot samples. To round the list, all these samples are pre-mapped as 12 sampler banks kits for the popular software sampler formats: Kontakt, EXS 24, HALion, Reason NN-XT and SFZ. • 12 ready to play patches for Reason NN-XT, HALion, Kontakt, EXS and SFZ compatible soft samplers. • Formats: Ableton Live, Reason Refill, ACID WAV and Apple Loops versions are available separately. [NAMM] Music Computing ControlTouch The ControlTouch is available with 25 or 61 keys and also sports eight drum pads, eight knobs and nine faders. Vir2 Fractured: Prepared Acoustic Guitar Fractured features 2.3GB of compressed samples and one hundred new instruments with variations and effects. Plugin Alliance: The Big 4 The Plugin Alliance introduces their new license-management system.